The Aladdin Lamps Heel-less Chimney is made of extremely strong borosilicate glass, and is designed to last a lifetime. 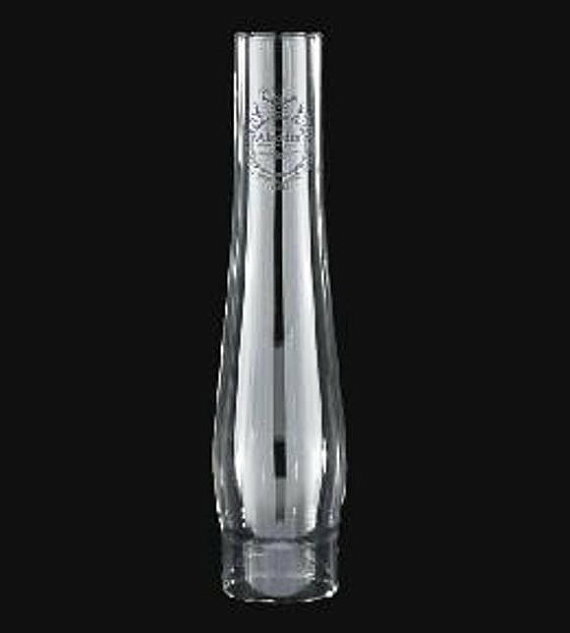 Borosilicate glass is also known as Labratory Glass or Pyrex Glass. This chimney features the old-style Aladdin Crest Logo. 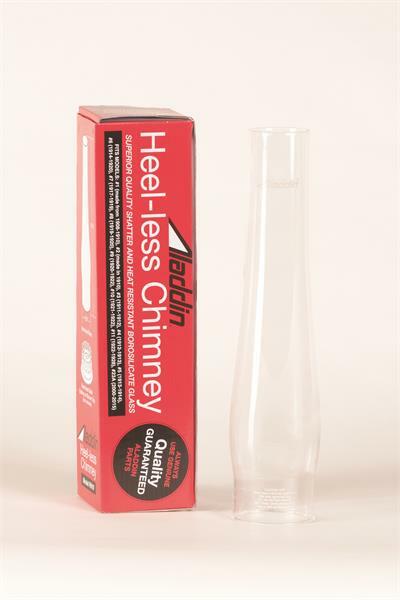 The Heel-less style refers to this lamp chimney having a smooth base, which uses a friction fit to hold the chimney to the gallery section of the lamp. Also called a Slip Style Lamp Chimney. Fits Aladdin Lamps models 1-11 and 23A. 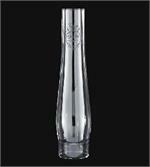 All Aladdin chimneys are made of hand-blown glass and vary slightly. 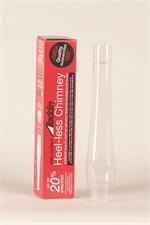 This Heel-less Clear Glass Lamp Chimney can be used on both Aladdin kerosene and electric burners.